Saturday 10-3 in the tent at Rock Harbor (11). 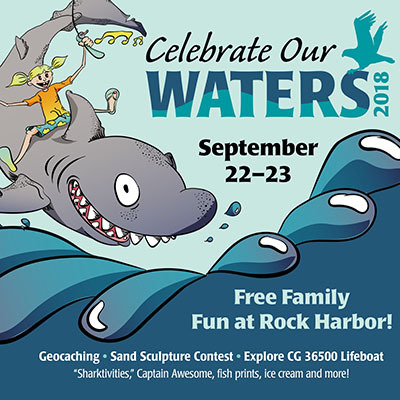 Don't miss these free, fun for all activities! Make your own fish print T-shirt using frozen bycatch - yucky and fun! Juried Art Show for Middle School and High School Age.